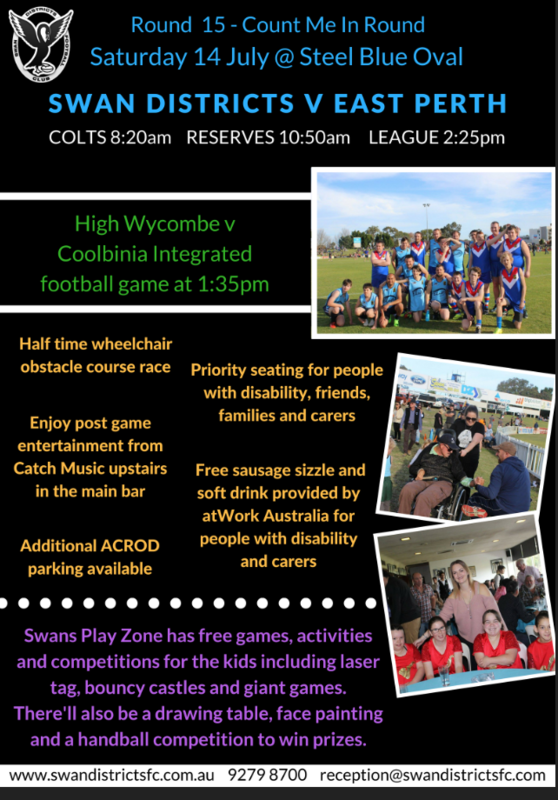 This Saturday 14 July the Integrated match between Coolbinia and High Wycombe will be played at Steel Blue Oval in Bassendean as part of the Swan Districts ‘Count Me In’ Round. 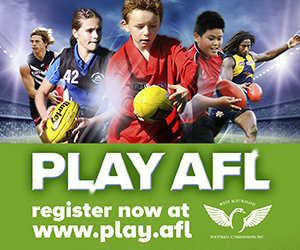 The match has been scheduled between the WAFL Reserves and League match with bouncedown at 1.35pm. 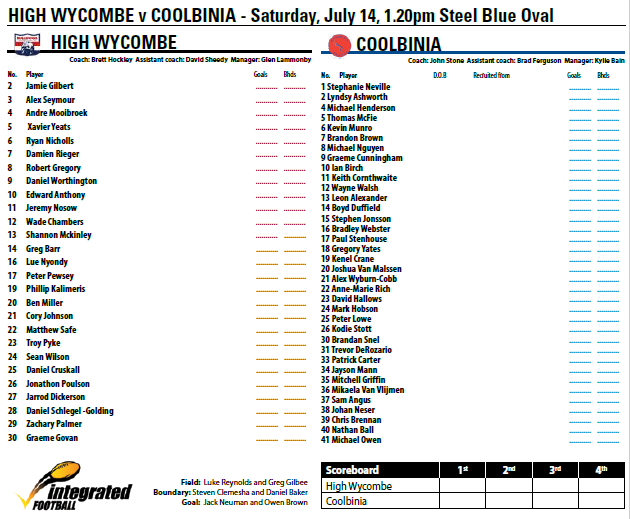 High Wycombe are currently sitting undefeated on top of the Integrated ladder as they come up against Coolbinia who have won the past three Integrated Grand Finals. Last time the two sides met was back in round seven when High Wycombe took the win by seven points. 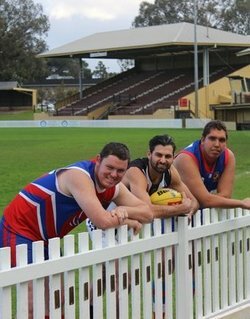 Swan Districts will have various activities at the ground on the day with a half time wheelchair obstacle course race, free sausage sizzle provided by atWork Australia for people with disabilities and their carers as well as additional ACROD parking available with priority seating for people with disabilities, friends, families and carers.